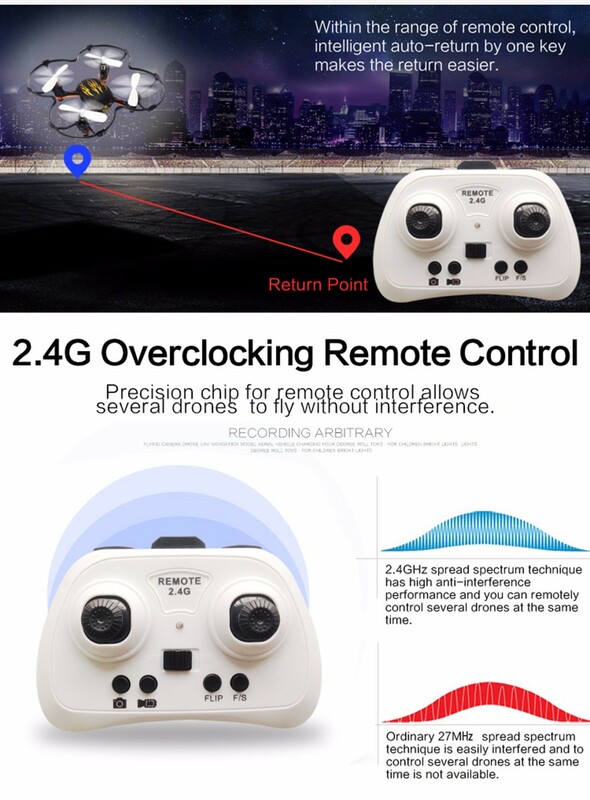 - One key to return function, makes it easy to find the way home. 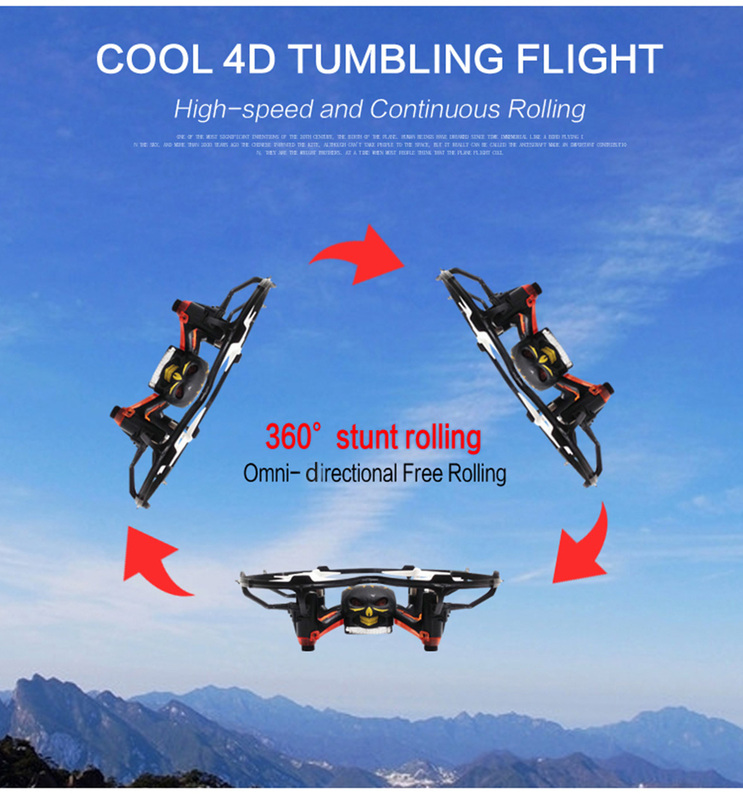 - 360 degrees roll function: ascend, descend, forward, backward, left sideward fly, right sideward fly and rolling 360 degree. 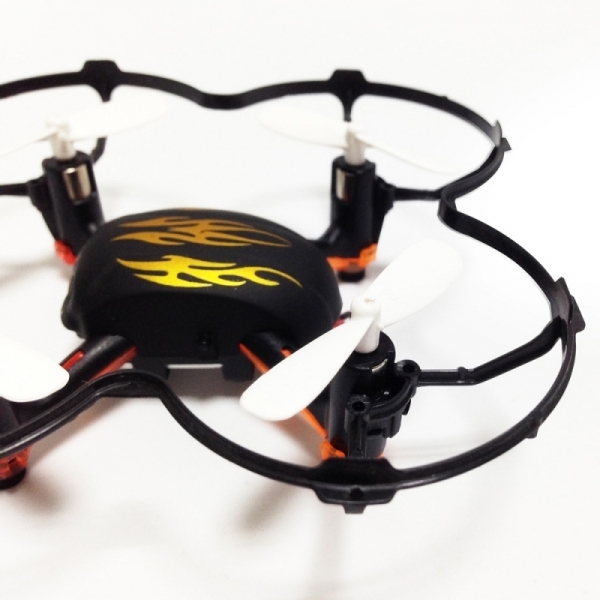 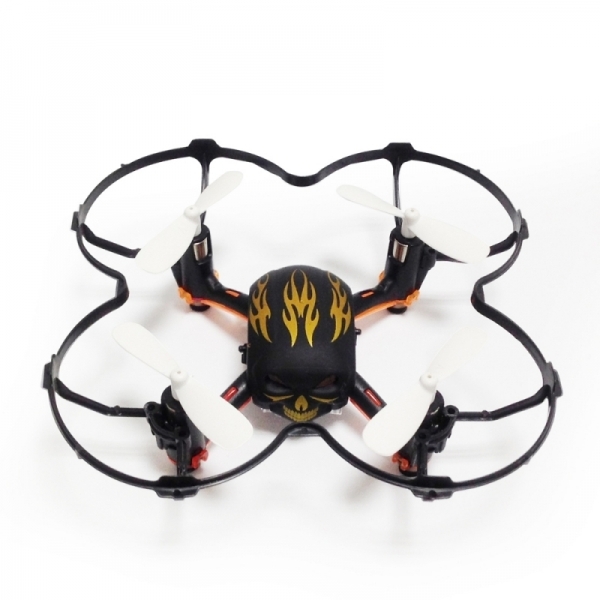 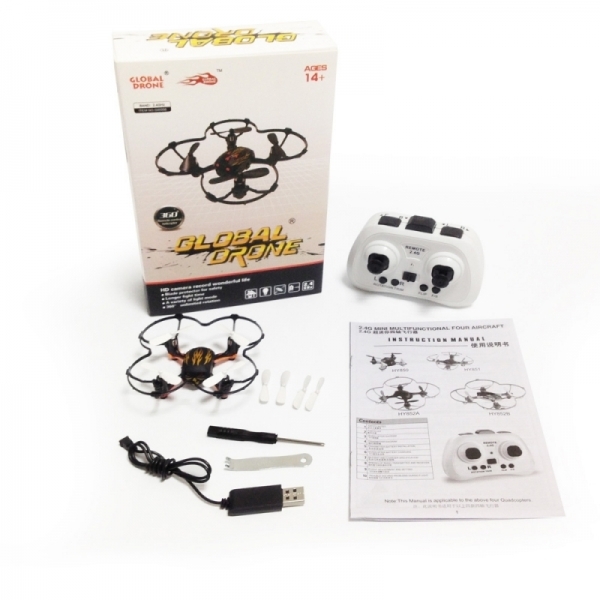 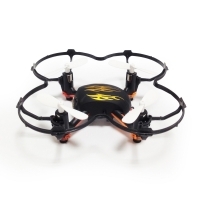 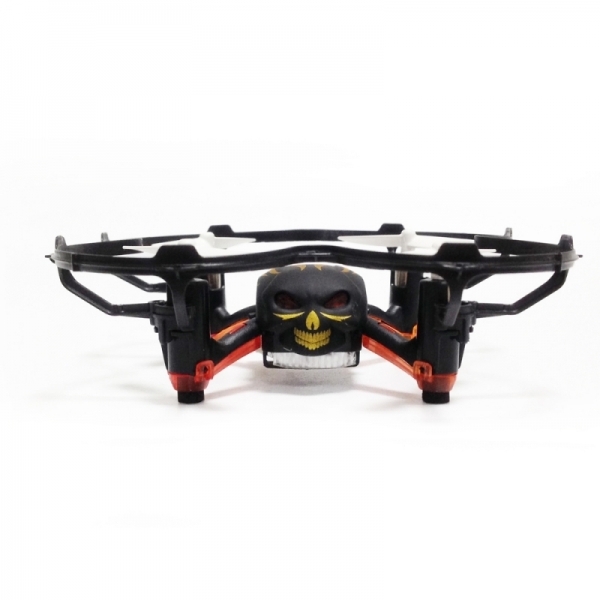 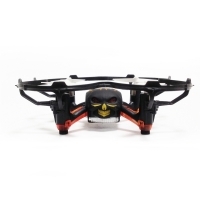 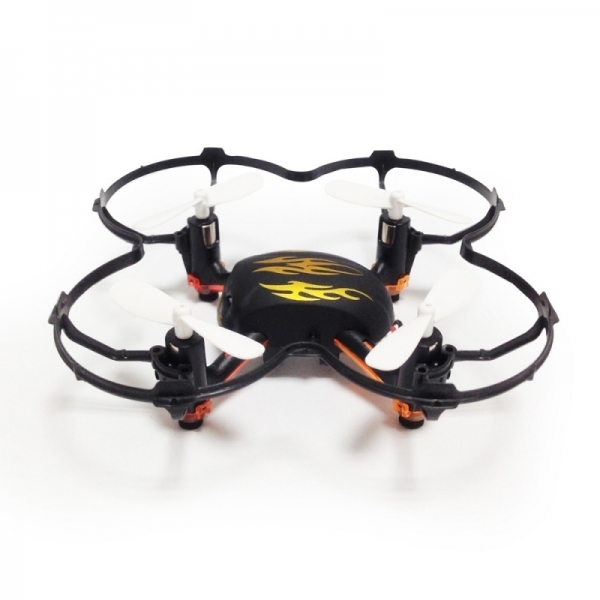 - With built-in 6D gyro system, this quadcopter has the characteristics of a stable flight and easy operation. 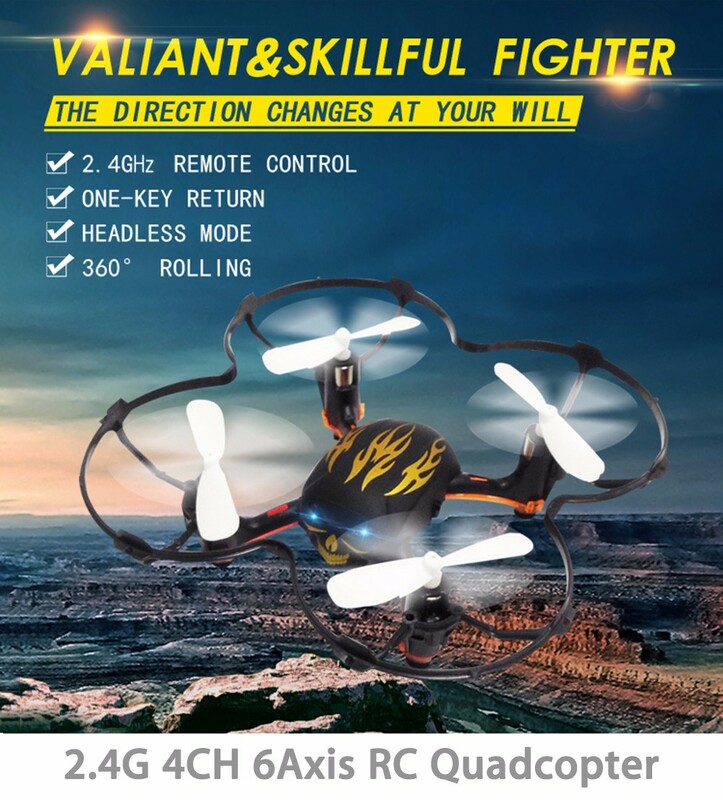 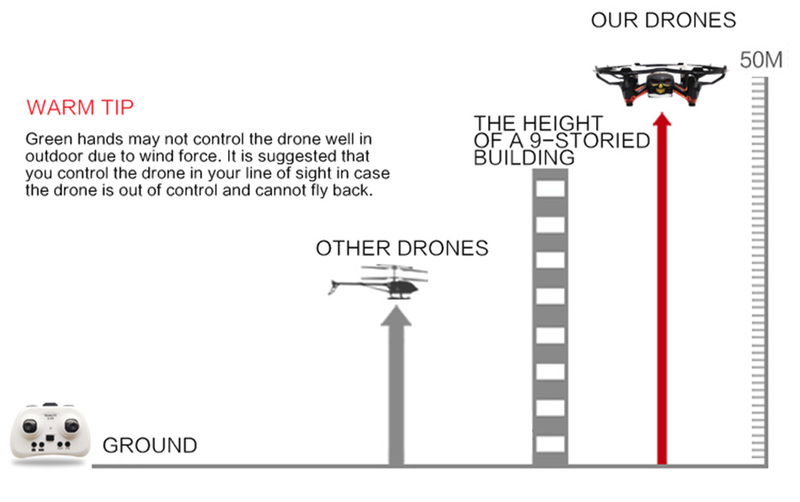 - With automatic parallel system, the flight so stable. 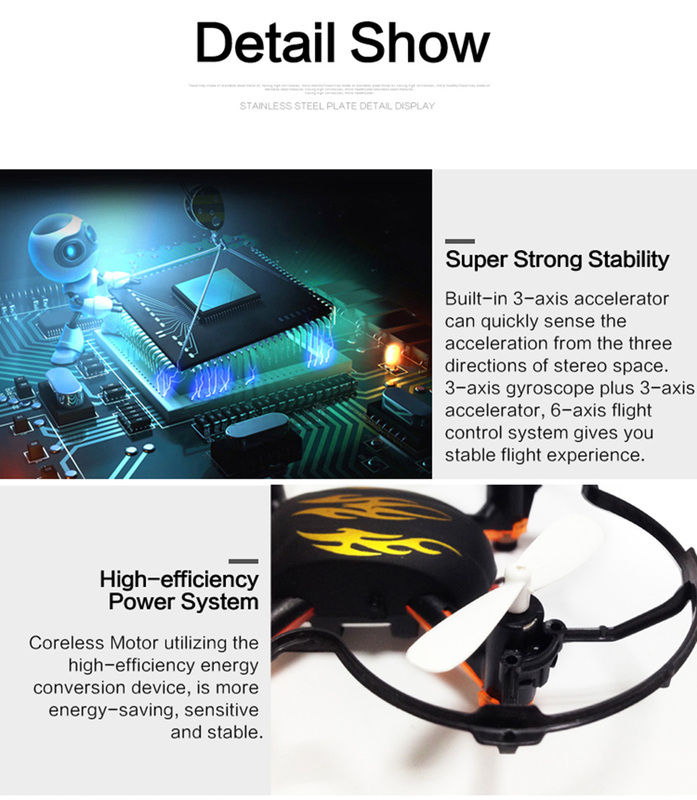 - With dazzling LED light, suitable for night flight.